As I write my articles each week for the Comstock Chronicle in Virginia City, Nev., I often wonder if tourists to the area and sometimes even local residents know the meaning of some of the terminology we use to describe things related to mining and the Comstock. With this article, I have compiled a short list of a few words used locally with definitions for those who may be unfamiliar with them. Amalgamation: The process of using mercury to collect fine particles of gold or silver from pulverized ore. These precious metals dissolve in the silvery liquid, while rock does not. The mixture is later heated and the mercury evaporates off leaving the gold or silver. Arrastra: A crude drag-stone mill for pulverizing ores containing gold or silver. Bonanza: The discovery of an exceptionally rich vein of gold or silver. Borrasca: An unproductive mine or claim; the opposite of bonanza. Claim: A parcel of land that a person has staked out and legally recorded title for mining purposes. Claim Jumping: Stealing someone else’s mining property – often after it has been staked out but not yet recorded. Cornish pumps: Large steam powered pumps used to remove water from the deep Comstock mines. Crevicing: Removing gold from cracks and fissures of rocks, often in a stream bed, by prying it out with a knife. Cross-cut: A mine tunnel running across an ore vein, used for ventilation, access and communication between work areas. Drift: A mine tunnel following the direction or “drift” of a vein; opposite of a cross-cut. Gangue: Worthless minerals mixed in with valuable ore. Giant Powder: This is what miners called dynamite. 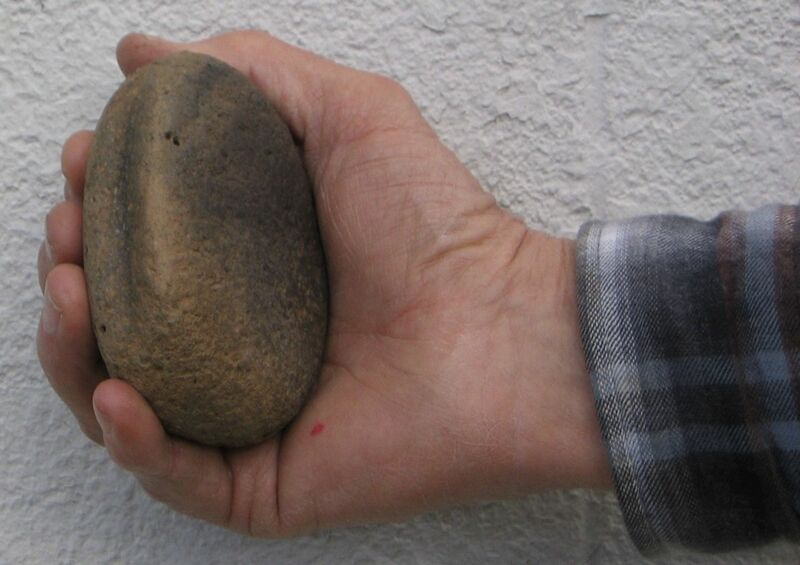 Hard rock: Ore that could be removed only by blasting, as opposed to being worked with hand tools. High grading: The theft of the more valuable high-grade nuggets and pieces of ore by mine workers. Muck: The debris left after blasting hard rock. Miners shoveling this ore-bearing material were called muckers. Placer: A deposit of sand, dirt or clay usually in a stream bed that contains fine particles or nuggets of gold or silver. These particles are washed out of the soil with a pan, sluice or other separating device. Pyrite: Fool’s gold; a mineral of iron or silicon and oxygen that has color similar to gold. Quartz: A crystalline mineral often white or semi-transparent in which gold and silver veins are sometimes found. Salting a mine: The act of planting rich ore samples in an unprofitable mine to attract unwary buyers. Shaft: A deep vertical or inclined excavation: usually the main entrance of a mine where hoisting works provide access to tunnels below. Sluice: A wooden trough or box used for washing placer gold. These were sometimes called “long toms.” Ore was shoveled in and a steady stream of water washed away the lighter material while heaver metals settled into cleats known as riffles. Sometimes these were made to rock back and forth to speed up the action and these were known as rockers. Sourdough: An experienced prospector; usually one who had the foresight to save a wad of fermenting dough to use for making bread. Square sets: A method of timbering large underground excavations and tunnels to prevent cave-ins. The method used cubical frames of timbers to fill any shape of underground excavation. It was developed by Philip Deidesheimer for the Comstock Mines in the 1860s. Stamp mill: A steam or water powered device used to pulverize ores into a fine powder by the use of heavy iron stamps rising and falling with the action of a cam. Capacity of mills was determined by the number of stamps they contained. Toplander: A mine worker who worked above ground. V-Flume: A device used to transport logs down from the Sierra Nevada forests to be cut into lumber. It consisted of two large planks nailed together in a V shape and supported on trestles or on the ground. A small stream of water floated the logs down the flume to the sawmill below. Windlass: A horizontal drum with a cable or rope used as a hoist in a mine. Sometimes called a whim. Widow-maker: A compressed air-drill, used to bore holes for dynamite in hard rock. Prolonged inhalation of the fine dust created by early models caused a deadly lung disease called silicosis. Winze: A passageway usually connecting two tunnels at different levels. 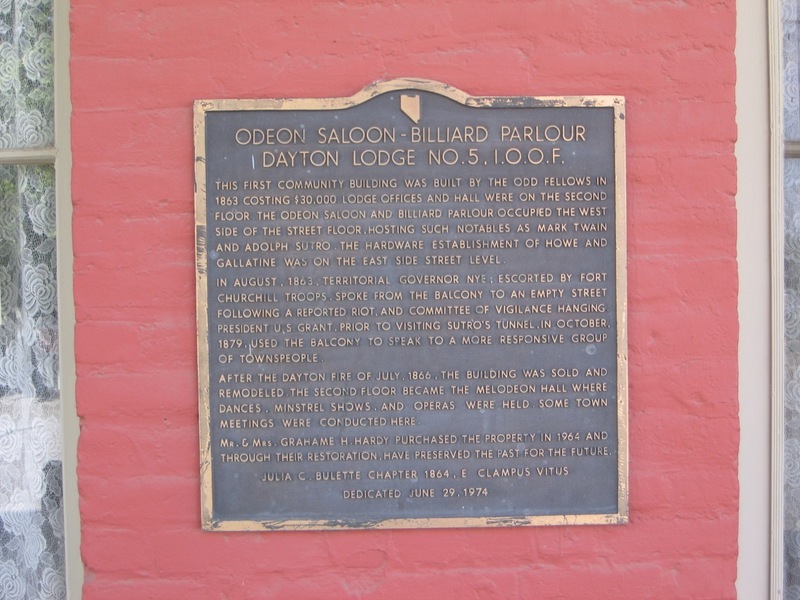 The Odeon Hall is a local treasure in historical downtown Dayton, Nevada. This was probably due to the building being used for entertainment purposes including theatrical performances, musical presentations and community dances. The original building to occupy this site at 65 Pike Street was a community building built by the Odd Fellows Lodge in 1863. It had a full basement and there was a saloon on the left side of the ground floor with a hardware store on the right side. Upstairs there was a meeting hall and offices for the lodge. The building has been destroyed by fire at least twice and rebuilt on the same site. The 6,500-square-foot brick structure seen today dates back to about 1870. Historical marker placed outside of the Odeon Hall. There is a historic marker placed by the Julia Bullette Chapter of E Clampus Vitus on the front of the Odeon. It proclaims that President Ulysses S. Grant spoke from the upstairs balcony during his visit to the Comstock in 1870. This is just one of the mythical stories about Nevada that is simply not true. In fact, President Grant and his entourage hurried through Dayton on his way to meet with Adolph Sutro at the Sutro Mansion and to take a tour of the famous tunnel Sutro had built. Though President Grant did not visit the Odeon, it is generally accepted that Mark Twain and Adolph Sutro regularly patronized the Odeon Saloon. In the 1940s, my father, Raymond Cassinelli, had a dance band and his group regularly played for dances at the Odeon Hall in the upstairs ballroom. This room was also used for wedding receptions and school dances. It is still used occasionally for plays and melodramas. Dad told me that Deputy Sheriff Chester Barton came to all the dances to keep the crowd in line and to bounce out any trouble makers. Barton always carried a carbine with a banana clip just to command respect. Dad also liked to tell the story about a dance job he played one time in Stockton, California. The only people in the dance hall with any clothes on were the members of his band. In 1961, Dayton and the Odeon Hall became a hot spot of activity when the cast and crew of the movie The Misfits came to town. Scenes of The Misfits featuring Marilyn Monroe, Montgomery Clift and Clark Gable were actually filmed inside the Odeon Hall. The Misfits was the last movie for each of these three actors. In 1982, Clint Eastwood made an appearance at the Odeon during the filming of Honkytonk Man. In 1984, Max and Mia Kuerzi bought the Odeon Hall and opened up Mia’s Swiss Restaurant and Saloon on the ground floor. For over twenty years, they served fine Swiss and German cuisine and entertained customers with Mia’s yodeling and Max’s opinions on world affairs. In 2007, it was leased out to become Chuck’s Old West Grill. This lasted but two years and the place is now being offered for sale. Years ago, before my mom and dad passed away, I took them to dinner at Mia’s Restaurant. This was the first time they had been in the Odeon Hall for over 50 years. As was her custom, Mia yodeled for us during dinner. She then took us on a tour of the old dance hall upstairs where Dad had played for dances so many years ago. This was a special treat for them. Perhaps someone will come along with an appreciation for Comstock History and sufficient energy and resources to revive the Odeon Hall to its former glory. Someday — when the depression is over. There are countless stories about lost or buried treasure with gold, silver and other valuable items in Nevada history. Most of these are legends that may or may not have any basis in fact. The following story is one of the rare cases where a real treasure was found when there was no previous knowledge that it even existed. During my highway-construction inspecting days, I spent several seasons working in Lovelock, Nevada. 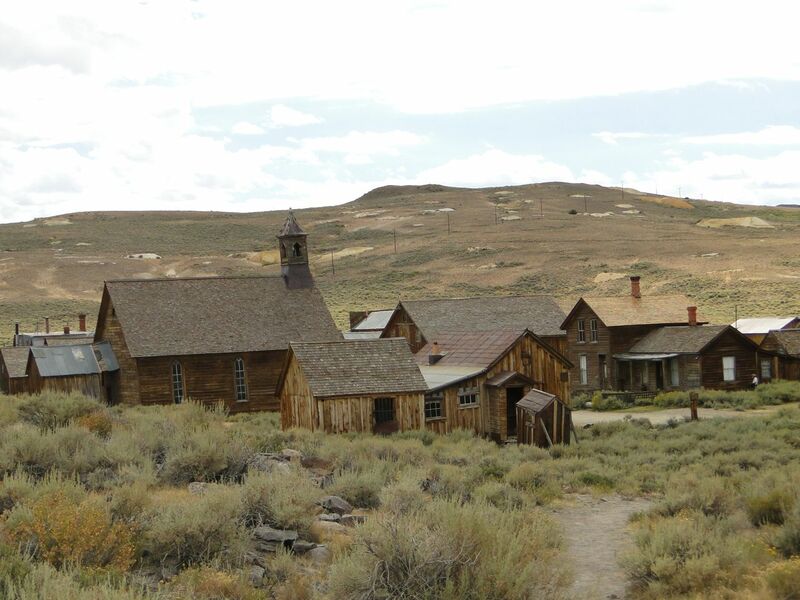 This northern Nevada ranching community marked the beginning of the dreaded Forty Mile Desert for the emigrants headed to California in 1849. It became a watering and fueling center for the Central Pacific Railroad in 1869. In more modern times, when I worked there, the Interstate 80 Freeway was being constructed along the south side of town. There was once a Chinatown in Lovelock where the local Chinese lived and operated small businesses such as restaurants, gaming houses and laundries. Many of these people had come to the area years before to work on the railroads and mining. By 1975, when the Interstate 80 freeway was being built along the south side of town, many of the original Chinese population of the area had either moved away or been relocated. It was the dream of many of the Orientals to work long and hard enough to earn money to eventually return to their homeland. Freeway construction took out a large area of town south of Amherst Avenue. This was the area where the local Chinatown was located. If you are traveling east on I-80 and exit at Main Street by McDonalds, you will find Amherst Avenue and a small, narrow community park between the freeway ramp and Amherst. This is where the old Chinese houses and businesses were torn down to be replaced by the park. Before demolition of the houses, the Nevada Department of Transportation conducted an archaeological study of the old buildings. When the archaeologists searched the three buildings being studied, they found an amazing cache of gold, silver, tokens and oriental coins. Since the property had been purchased by the State of Nevada for the construction project, the collection became the property of the Nevada State Museum. Eugene Hattori, curator of anthropology at the Nevada State Museum, has provided me with a copy of the study done by the archaeologists of this 1975 discovery. Hattori was the archaeologist who excavated the 900 Carson City coin dies I discovered at the old mint building in 1999. He occasionally has a showing of the Lovelock collection, one of which I attended. The collection consists of 211 American, Chinese, Annamese and Japanese coins and 4 American trade tokens. Most of the coins were found in three different structures, with all of the gold coins being found in one house. The house had a cellar, common in homes of that era. When the archaeologist searched the cellar, he discovered a jar hidden under the floor. The jar contained 112 American gold pieces that was likely the savings of someone who passed away, never revealing his secret. The gold coins ranged in age from 1874 to 1910. This indicates the owner may have died about 1910. There were 21 five dollar gold pieces, 11 ten dollar gold pieces and 80 twenty dollar gold pieces. The face value of the gold coins was $1,865.00. In today’s market, the collection could be worth in excess of $200,000. Most of the gold coins were minted in San Francisco. A few were minted in Philadelphia and there was one 1892 five dollar gold piece that was minted in Carson City. The largest number of the coins show dates between 1897 and 1910. Nearly 90 Chinese and other oriental coins found in the other two structures on the site indicated they may have been businesses catering to the Orientals, such as gaming establishments. There were many Chinese “cash” coins with square holes, that were often used as gaming tokens. Many of the Chinese cash coins are very old and can be dated from 1662 to 1908. There were about 50 United States pennies, nickels, dimes and one 1889-O silver dollar found on the site. There was one trade token from San Francisco, one from the Owl Bar in Lovelock, one from the Crystal Saloon in Sparks and one from the Commercial Hotel in Elko. I suppose every family has an Uncle Bert hidden away in the dark recesses of family ancestry. I never realized our family had an Uncle Bert until my recent research into our family tree revealed he even existed. Certainly, none of the old family members I grew up with ever mentioned his name or even hinted that such a person existed. At first, I could not understand why no one had ever talked about anyone named Bert Cassinelli. I would have thought that the brother of my Great Grandfather, Pietro Cassinelli, would have been mentioned at some time or another during my lifetime. I know from newspaper accounts that Pietro suspected Bert and cousin Vitoria of setting his house, haystack and barn on fire in February 1896, but this was never proven to be true. The case was taken all the way to the Nevada Supreme Court. The final award was for the plaintiff, Vitoria, in the amount of $305. This hardly was worth the time and effort — not to mention the bad blood — it stirred up within the family. I do remember several times asking the older family members about the old days when the family started out in Dayton in the late 1800s. For some reason unknown to me at the time, they were reluctant to talk to me at all about the old family or the things that happened back in those days more than 100 years ago. I since have dug up enough information to form some opinions on why no one was willing to talk to me about the early days in Dayton. The moral of the story is this: If you shake your family tree hard enough, some rotten apples are sure to fall out. Despite a few rascals, our family has endured and is proud to have so many members who contributed to the settlement of the Wild West. Times were tough in those days. It took tough men and women to cope with the conditions of the time. And who knows — someday I may be the rotten apple who falls from the tree. Comstock barbed wire still exists in several areas around Northern Nevada. A compulsion to collect things is a well-known human trait. 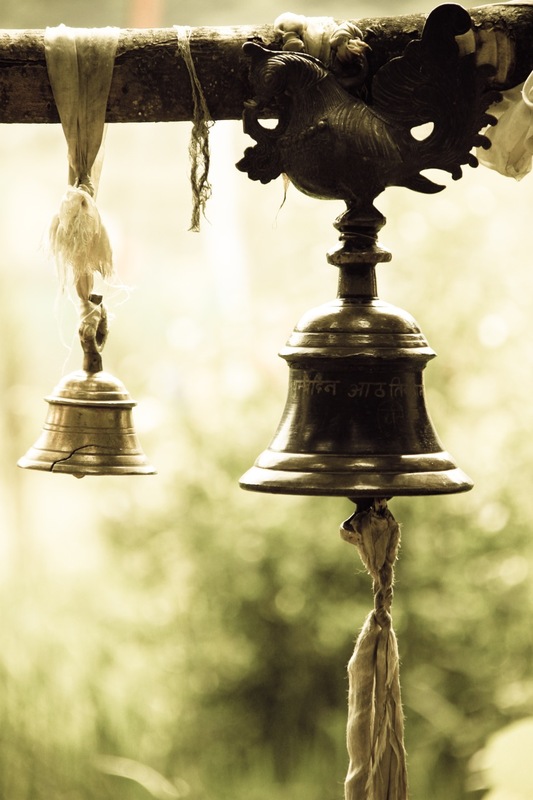 For centuries, people have collected practically anything that interests them. 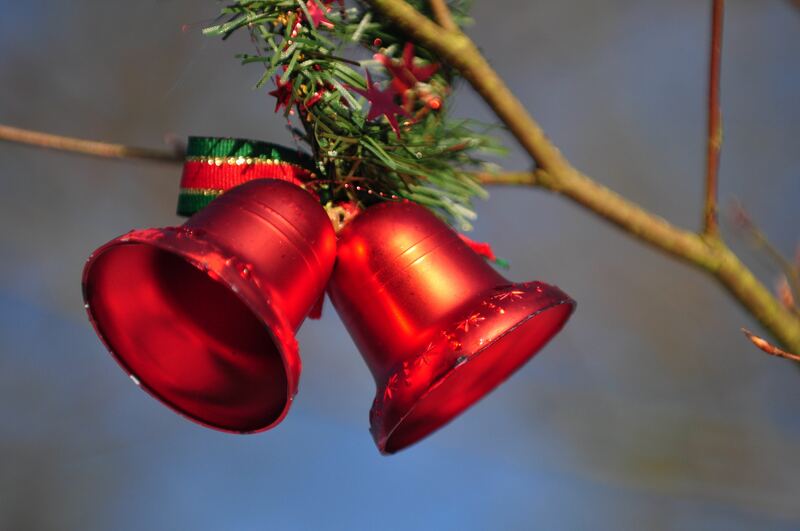 This could be obvious things such as stamps and coins, or it could be the hundreds of varieties of beer cans, arrowheads, antique bottles or samples of antique barbed wire. I must admit that at different times in my own ancient history, I have dabbled in collections of all those things mentioned above. Having grown up on a ranch and worked on several others, I found that there were many varieties of interesting barbed wire to be found along the miles of old fence surrounding the fields and pastures. I also learned there were collectors who had a passion for seeing how many different varieties they could assemble into a collection. Many books have been written about the subject and each variety was given a name. One of the earliest patented varieties was the “Kelly Diamond Point” which was patented in 1868 by Michael Kelly. It had a distinctive diamond shaped point and one of the twisted wires passed through a small hole in each diamond point. Rules for collectors were established and these included the obligation to repair any standing fence where a sample was removed. Sample size was set at 18” and over 1,000 different varieties of American-made barbed wire have been identified. My own collection covered an entire wall of my house and included over 500 different types. It was during my barbed wire collecting phase that I learned there was one variety of barbed wire that was manufactured in Virginia City, Nevada using materials taken from the Comstock mines. Each of the hoisting works of every Comstock mine used massive flat wire cable straps to raise and lower the heavy elevators deep into the earth. After months of lifting tons of ore, timbers, men and equipment, the flat strap cable became dangerously worn. No longer safe to use for its intended purpose, the cable had to be scrapped and replaced. Enterprising Chinese laborers soon found there was a market for the worn-out flat cable from the Comstock mines. Miles of the cable was laid out flat on the ground and split apart by the Chinese into several strands complete with barbs that were formed where the strands were cut apart with chisels. Wagonloads of this heavy barbed wire were sold to farmers and ranchers in the Truckee meadows, Dayton and the Carson Valley. Fencing of the various farms and ranches became necessary about the same time the Comstock Mines were being developed. The Comstock has always been known for its superlatives and Comstock barbed wire continued this tradition. Comstock barbed wire is easily the largest and heaviest barbed wire ever made and it had the longest barbs of any barbed wire. It is also perhaps the rarest of barbed wire types. This is because it was hand crafted from local materials and was used exclusively on the farms and ranches surrounding the Comstock region. Surprisingly, examples of Comstock mine cable barbed wire can still be seen on several fences along the back roads of Carson Valley today. I recently photographed a section of this wire on a fence near Genoa. Several other sections of the wire are still in place, but are not easily recognized since many of the barbs have fallen out. 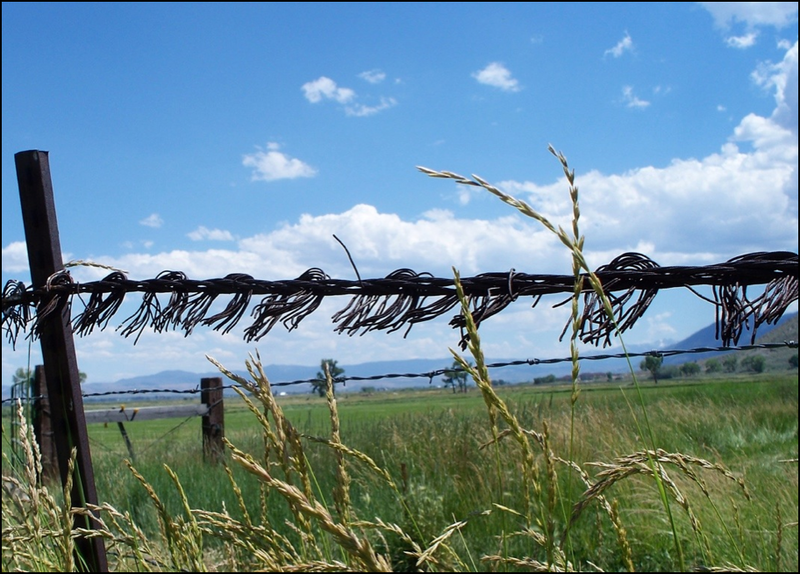 Please try to look for the distinctive Comstock barbed wire during your next visit to Carson Valley. It is truly a relic of the old Comstock days and worthy of preserving. And, most importantly: Cameras only, please — no wire cutters. There have been several early historical and newspaper accounts that have mentioned the Fremont Cannon. When these are set out in a logical order, they seem to confirm my contention that the cannon barrel being displayed by the Nevada State Museum is indeed the Fremont Cannon. This has been the topic of debate among historians for many years. Relatively recently, the iron wheel rims and original carriage hardware have been discovered and identified as having been from the Fremont Cannon. Since these components could have been used only with a M1835 Cyrus Alger mountain howitzer, it is now even more likely that the M1835 Cyrus Alger mountain howitzer possessed by the museum is the Fremont Cannon. The iron parts were found in Deep Creek Canyon, just east of the West Walker River where Fremont’s records showed the howitzer was abandoned in 1844. No bronze cannon barrel was found where the iron parts were discovered, so it can be assumed it was picked up by someone else. A newspaper in San Andreas, California reported on November 25, 1859 that a local man had returned from Carson Valley with a report that two miners enroute from the Walker River to Genoa had discovered a small United States howitzer just before crossing the spur of mountain that forms the southwestern boundary of Carson Valley. Its presence in that secluded quarter can be accounted for upon the presumption that it is the gun mentioned in Lieutenant Fremont’s narrative as having been abandoned by him in that neighborhood. Big Bonanza author, Dan De Quille, claimed to have been with two prospectors when they found the cannon barrel, but it was unclear if they recovered it. According to the Second Biennial Report of the Nevada Historical Society of 1911, old settlers on the Walker River reported the cannon was found and taken by an emigrant party. They later had to abandon the heavy cannon along with some of their own wagons in order to make the crossing of the Sierras. The Daily Alta California published at San Francisco, California, July 6, 186l reported an article from the Virginia City Enterprise: A man named Sheldon brought a brass howitzer, which he found on the east fork of Walker’s river to Carson City one day last week, and offered to sell it for $200. Failing to find a purchaser there he brought it up to Gold Hill. Some of the citizens, (of Virginia City) hearing of its arrival, went down there with purchase money and nipped it before Gold Hill folks were aware of it. The Woodland Democrat of Woodland California, reported an article in 1864 on the use of the cannon after it arrived in Virginia City: A twelve pound cannon was discovered in an unfrequented locality near Walker’s river by a party of men and it was ascertained that it was a gun abandoned by John C. Fremont on one of his famous pathfinding expeditions when he ascended Walker’s river into California to find a way across the Sierra Nevadas. It was brought to Virginia City and has ever since been in the possession of Young American Engine Company No. 2, who have furnished it with a new gun carriage at a considerable expense. It was used only on rare occasions as firing salutes at daybreak on the Fourth of July, celebrating Federal victories, etc. The Provost Guard took it in charge yesterday and it is now in their quarters at the lower end of Union Street. Sometime in the 1860s or 1870s, Captain Augustus W. Pray took possession of the cannon and took it with him to Glenbrook on the east shore of Lake Tahoe. He removed the carriage wheels that had been installed by the Young American Engine Company, and mounted the cannon on a large wooden block with short wheels. A photograph of this cannon taken on July 4, 1896 confirms this barrel is the same barrel now in possession of the Nevada State Museum. At Glenbrook, the cannon was used to commemorate special events such as Fourth of July Celebrations and the launching of the steamer, SS Tahoe. The cannon was eventually taken by steamer to Tahoe City where it ended up being stored away until it was taken by William Bliss, who donated it to the Nevada State Museum. The museum, in cooperation with the Deschutes County Museum in Bend Oregon, are producing a program called “Finding Fremont: Pathfinder in the Great Basin.” The cannon will be on display for Nevada’s Sesquicentennial celebration. One of my favorite characters in Nevada history is John C. Fremont, leader of the first and most significant exploratory expeditions through the Great Basin. He and his party were the first non-Indians to lay eyes upon such wonders as Pyramid Lake, Lake Tahoe and the fertile valleys that we now know as Nevada. It will take more than one article to tell about Fremont and the many things he has done. The series will conclude with the amazing story of the discovery of the elusive cannon abandoned by Fremont during his 1844 crossing of the Sierra Nevada Mountains. John Charles Fremont (January 21, 1813 – July 13, 1890) was an American Military officer, explorer and the first candidate of the anti-slavery Republican Party for President of the United States. In 1841, Fremont married Jessie Benton, daughter of Missouri Senator, Thomas Benton, champion of the expansionist movement. The expansionists believed that the entire North American continent, including Mexico and Canada, should belong to the citizens of the United States. Having considerable political clout, Benton pushed Congress to perform national surveys of the Oregon Trail, Oregon Territory, the Great Basin and the Sierra Nevada Mountains. This cause became known as Manifest Destiny. Through his power and influence, Benton was able to obtain for his son-in-law, John C. Fremont, the position of leading each exploratory expedition. In his early years, Fremont attended the College of Charleston from 1829 to 1831. He was appointed a mathematics teacher aboard a navy vessel and became a lieutenant in the Corps of Topographical Engineers. Fremont led many surveying expeditions throughout the western territories in the 1830s. He first met frontiersman Kit Carson on a Missouri River steamboat in St Louis during the summer of 1842. Fremont was preparing to lead his first expedition and was looking for a guide to take him to South Pass. Carson offered his services and guided Fremont along with 25 men on a successful five-month journey. From 1842 to 1846, Fremont and Kit Carson led expedition parties on the Oregon Trail and into the unexplored regions of the Sierra Nevada Mountains where Fremont was the first American to see Lake Tahoe and to map what we now know as the Great Basin. It was during these expeditions he searched for the legendary Buenaventura River, believed to cross through the Sierras to the Pacific Ocean. After finding there was no river crossing the Sierras, Fremont determined that the Great Basin had no outlet or river flowing to the sea and that the region was indeed a Great Basin. As you may have noticed, there are many place names throughout the western states that have the name of Fremont. He is remembered by having cities, counties, schools and mountains named after him. In addition, he gave many geographic places the names we know today. He named the Carson River after his guide Kit Carson. Later Nevada’s Capital was named Carson City. When Fremont saw the 600’ high rock formation at Pyramid Lake, it reminded him of the Egyptian Pyramids, so he called the place Pyramid Lake. Fremont was a prolific report writer who accurately described the areas he explored and published the reports to guide future travelers. His writings from one of his expeditions inspired the Mormons to consider Utah for their permanent settlement. Fremont’s “Report and Map,” published by Congress led to the publication of Joseph Ware’s Emigrant’s Guide to California. This became the travelers’ guide for the forty-niners through time of the California Gold Rush. After Fremont’s remarkable explorations of the American West, he attempted to advance his military career and to dabble in politics. As it turned out, he was much better at being an explorer and pathfinder than he was at either military or political pursuits. During the Mexican-American War, Fremont led the California battalion to capture the cities of Santa Barbara, San Francisco and parts of Los Angeles. He signed the Treaty of Cahuenga, which ended the war in California. After the war, he received the military governorship of California, but when he later refused to give up the seat, he was court marshaled and resigned from the military in 1848. He then served as a senator from California from 1850 to 1851, and ran unsuccessfully for president of the United States as the first Republican Candidate in 1856. At the outbreak of the Civil War, President Abraham Lincoln appointed Fremont a major general on May 15, 1861. After Fremont made an attempt to bring Missouri into the Union Cause, Lincoln feared his actions would push Missouri to join the Confederacy. Lincoln reassigned Fremont to Virginia where he made a failed attempt to defeat Stonewall Jackson’s army at the battle of Cross Keys. Fremont was relieved of his command as a result of his own request, and never again received a command. After the Civil War, Fremont served as the territorial governor of Arizona from 1878 to 1887. This will be the last in my series of articles about the Pony Express stations in western Nevada. 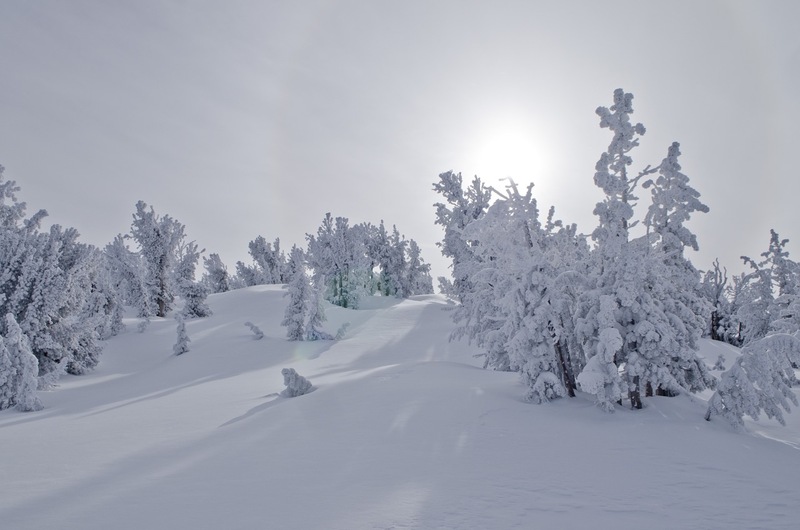 When Pony Bob Haslam made the longest ride in Pony Express history, he rode the route from Friday’s Station at Lake Tahoe to Smith Creek Station almost halfway across the state of Nevada. My articles have described many of the conditions and dangers of operating a horse mounted mail service through rough Indian territory during a time when little protection was available. It is appropriate to end the series with this article since most of the activity that involved the Comstock region occurred at the stations in the western half of Nevada. 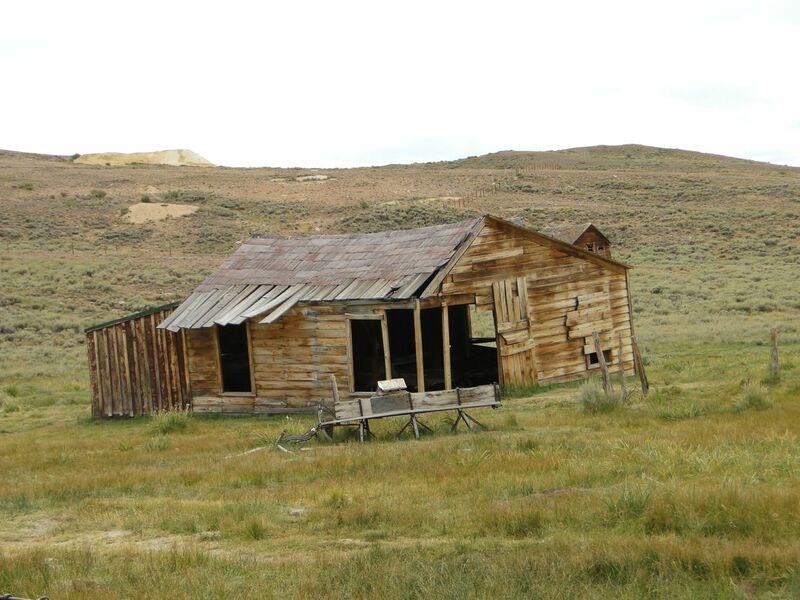 The ruins of the Smith Creek Pony Express Station are located on the present day Smith Creek Ranch about fourteen miles north of State Highway 2 on the east side of the Desatoya Mountains. There is one adobe building with a willow thatch roof and a second building with one section of adobe and another section of rock also with a thatch roof. The first building has been identified as the location of the corral. The adobe section of the second building is the original Pony Express Station house. 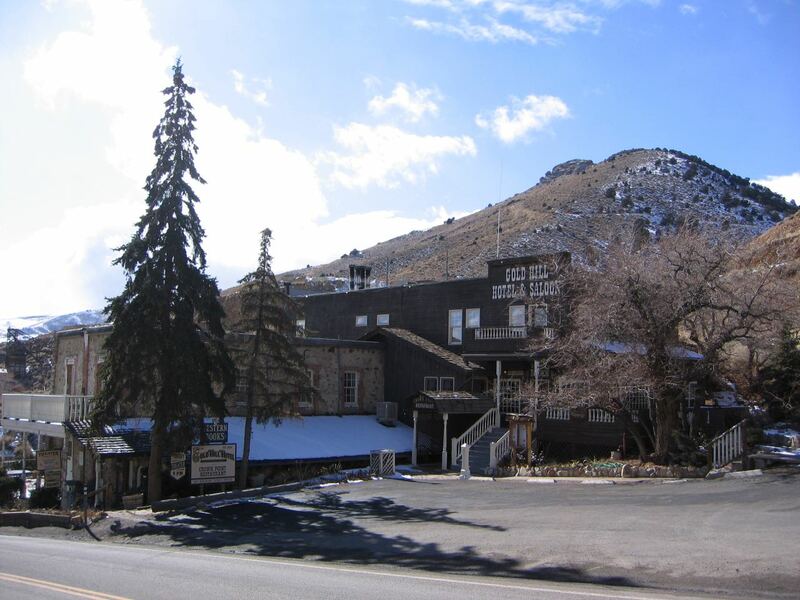 At least two shootings were reported to have occurred at Smith Creek Station. The Virginia City Territorial Enterprise reported one case in August, 1860 when H. Trumbo, station keeper at Smith Creek got into a difficulty with Montgomery Maze, one of the pony riders. Apparently Trumbo snapped a pistol at Maze several times. The next day, the fracas resumed when Maze shot Trumble with a rifle. The ball entered above the hip and inflicted a dangerous wound. Maze was taken to Carson City for treatment and brought with him a certificate signed by witnesses who stated that Trumbo had provoked the attack. In 1860, William Carr started a quarrel with Bernard Chessy at Smith Creek Station. During the altercation, William Carr murdered Chessy and was brought to trial in Carson City. He was found guilty by Judge John Cradelbaugh and became the first person legally hanged in Nevada. A Pony Express rider named Bart Riles was killed at Smith Creek Station in an unfortunate riding accident on October 14, 1860. Located in Lander County, Nevada, Smith Creek Station was the first Pony Express stop in Shoshone country, being at the dividing line between Shoshone lands and Paiute territory. The stations west of Smith Creek were in Paiute country and were more routinely raided by the Paiutes during the 1860 battles that followed the Pyramid Lake Indian War. The station was named for Captain Smith, when Simpson’s survey party located the site on May 30, 1859. When Sir Richard Burton visited the station on October 14,1860, he reported the station was situated in a deep hollow. It had an unusually neat station house with furnishings including the bunks made of osier (willows) taken from the neighboring creek. There was a stone corral and a haystack. He mentioned the presence of Indians at the station but none of them were allowed to enter the station house. After the Pony Express and the Overland Stage lines no longer existed, Smith Creek became a successful ranching operation which is still active today. The Maestretti family, owners of the ranch have preserved the old Pony Express station buildings. The adobe section of a half-adobe, half-rock building is part of the original Pony Express Station. Other old willow-and thatched-roof buildings also remain intact. The site location for Middlegate Station is unknown. There are several possible locations along US Hwy. 50 near the modern Middlegate bar and restaurant that could have been the site of the original Pony Express station. Last summer when I was working on a highway project in Hawthorne, a group of us drove up to Middlegate for a party hosted by another construction crew. A great time was had by all but there was no trace of any Pony Express station. The next station east of Middlegate is Cold Springs Station, located 65 miles west of Austin along US Hwy. 50. It was built in March of 1860 by Superintendent Bolivar Roberts, J.G. Kelly and others. Jim McNaughton was a station keeper until he later became a rider. J.G. Kelly was the assistant station keeper for a while. The original station was built of large native rocks and mud with walls four to six feet high and up to three feet thick. It had four large rooms including a storage area, barn, corral and living quarters. 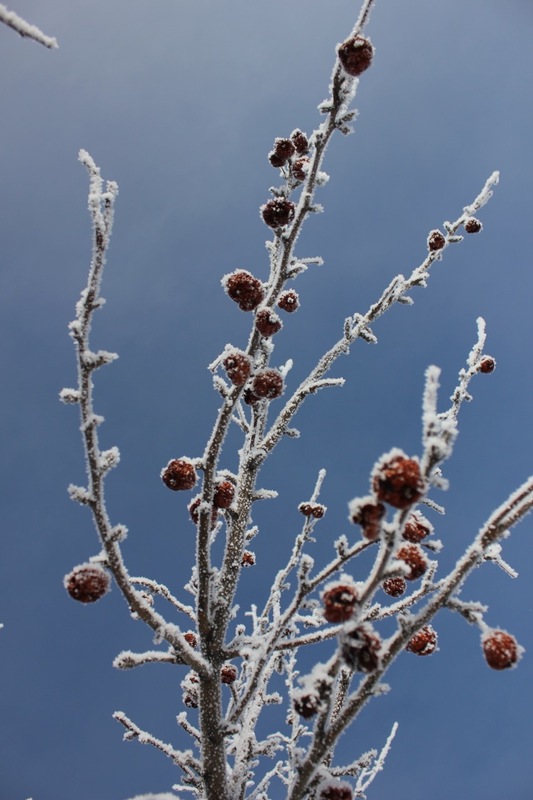 In the winter, residents took advantage of heat from the animals stabled in the barn to keep warm. The only other heat was one small fireplace. On Pony Bob Haslam’s famous longest ride in Pony Express history, he stopped at Cold Springs to change horses, then went on east to Smith Creek Station. After sleeping for nine hours, he returned to Cold Springs and found it had been attacked by Indians. The station keeper had been killed and all the horses had been stolen. Pony Bob then watered his horse and headed to Sand Springs. The morning after Cold Springs Station was attacked, Indians attacked Smith Creek Station. The whites defended the station for four days when about 50 volunteers from Cold Springs Station came to their rescue. They reported they had just buried the remains of their station keeper, John Williams whose body had nearly been consumed by wolves. Bartholomew Riley was a member of the 19th regiment of the U.S. Infantry who volunteered to participate in the first battle of the Pyramid Lake Indian War. He had recently received an honorable discharge from Company C when he heard about the Indian attacks at Williams Station and he decided to join in the battle led by Major Ormsby. During the battle, Riley fought with extreme bravery and gallantry, killing several of the dusky enemy attackers at the side of the ill fated Major Ormsby. Having been one of the few survivors of the first Pyramid Lake battle, Riley assumed duties as a Pony Express rider when on May 15th, 1860, the scheduled rider at Buckland’s Station refused to take his turn on the next eastbound run. Riley, fresh from the battlefield and tired as he was, stepped forth and volunteered to ride the next change, a distance of 85 miles. He did so in excellent time. On the following day, Riley rested at Cold Springs Station when he was accidently shot by a friend with a rifle. He was taken immediately to Carson City for treatment but tragically, he died there of his wound. Today, the ruins of Cold Springs Station still resemble a substantial fortress alongside the old trail. Living quarters and corral are easily recognized as well as windows, gun holes, and a fireplace. A rivulet of good cold water from the surrounding hills still flows near the site as it did when the ponies and riders refreshed themselves an this incredibly historic site. For thousands of years, much of western Nevada was submerged under the waters of ancient Lake Lahontan. About 4,000 years ago, climate change caused the waters to recede and the area around what is now Fallon, Nevada became a dry desert playa. Prevailing winds from the west blew millions of tons of sand from this playa into a 500-foot high pile of sand now known as Sand Mountain. In modern times, Sand Mountain became an attraction to dune buggy enthusiasts and it became a popular recreation destination. When the stations for the Pony Express were constructed in 1860, the owners selected a place about 20 miles east of present Fallon and just south of Sand Mountain to construct Sand Springs Station. This site is now easily reached from U.S. Highway 50 east of Fallon. After the station was abandoned when the Pony Express ceased operation in 1861, the stone corrals and station house soon became buried under the ever shifting sands of the Great American Desert. 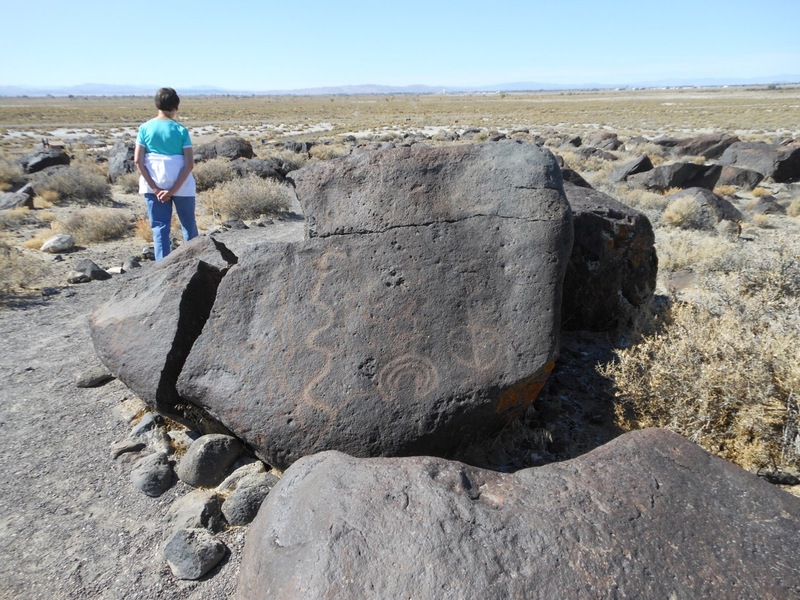 In 1976, the BLM and archaeologists from the University of Nevada located the buried ruins and excavated them. The stone walls of the buildings were stabilized and interpretive signs were placed along a hiking trail to identify the elements for visitors to the site. Since the ruins were buried for over 100 years, they are very well preserved. When Pony Express employees were hired, they were required to swear that they would drink no intoxicating liquors. Whoever made this ridiculous rule obviously had no concept of the living conditions the employees of these stations would face. When the archaeologists from the University of Nevada excavated Sand Springs Station in 1976, the most common artifacts they uncovered were hundreds of fragments of liquor bottles. Solemn oaths were hard to keep when faced with isolation, boredom, loneliness and the constant threat of Indian attacks. Sand Springs Station is one of the best preserved and easily reached of all Pony Express stations. The fact that it was buried under sand for over 100 years until it was re-discovered, protected it from the vandalism that destroyed or damaged many others. Here you can even see the smoky fireplace in the corner described by Sir Richard Burton in 1860. As with any of the stations, please do not remove anything, climb on or disturb any of the ruins. These are fragile resources that should be treated with respect. One distraction you may notice if you visit the site is the noise from the many dune buggies that come to climb the dunes at nearby Sand Mountain. Despite this inconvenience, Sand Springs Station is worth a visit. Carson Sink is a playa, or large alkali flat area, in the northeastern portion of the Carson Desert south of Fallon. This was formerly the terminus of the Carson River where the waters of the river simply sank into ground and evaporated. 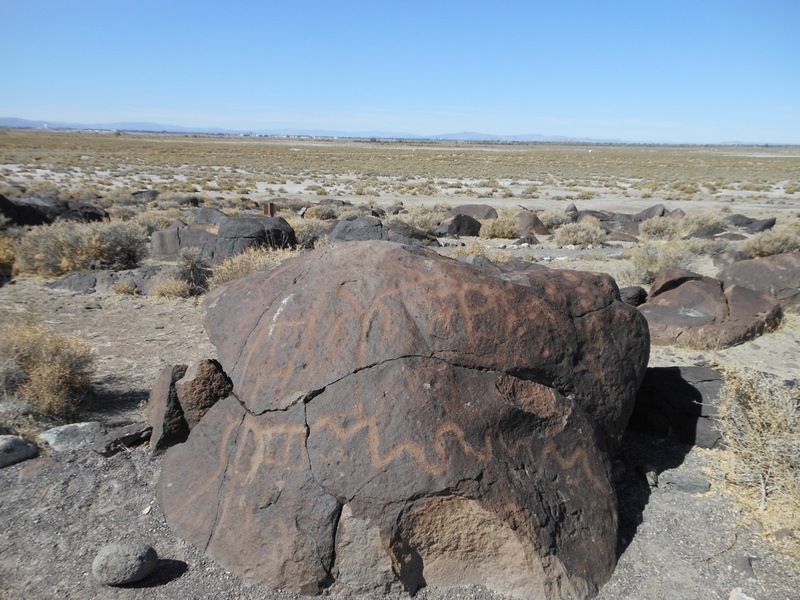 Thousands of years ago, this area was several hundred feet under the waters of ancient Lake Lahontan. The Carson Sink Pony Express station was situated between Hooten Wells to the west and Sand Springs toward the east. 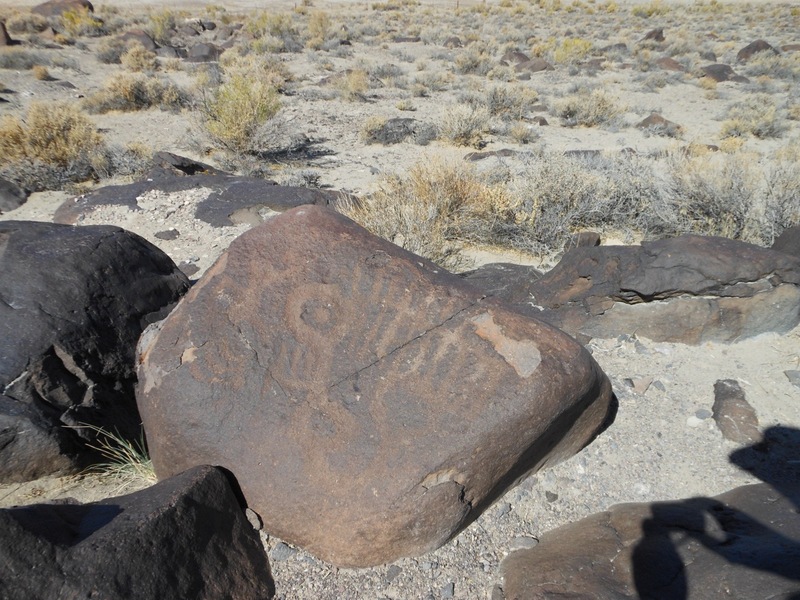 The site can be reached off U.S. 95 about 14 miles south of Fallon, then about 1/2 mile west of the highway. The station was built in March of 1860 by Bolivar Roberts, J.G. Kelly and others. They knew the region was inhabited by hostile Indians, so they built the station as a fort for protection. Since there were no logs or rocks available, they used mud from the shore of the marsh to make adobe bricks. To get the mud to the right consistency to mold the blocks, they tamped the material with their bare feet for a week or more. They reported the mud was impregnated with alkali and carbonate of soda and it burned their feet until they were swollen and resembled hams. Today very little remains of this once busy station. Faint remains are barely visible of two adobe walls that have melted back into the alkali desert. In 1960, Walt Mulchay found ruins of four or five buildings beside the corral. He reported all of them faced north with three in a small flat just north of some sand dunes and two partially in the dunes. Although the station site is less than one mile west of U.S. 95, it is difficult to reach with a vehicle other than a four wheel drive and there is a gate that must be opened and closed. 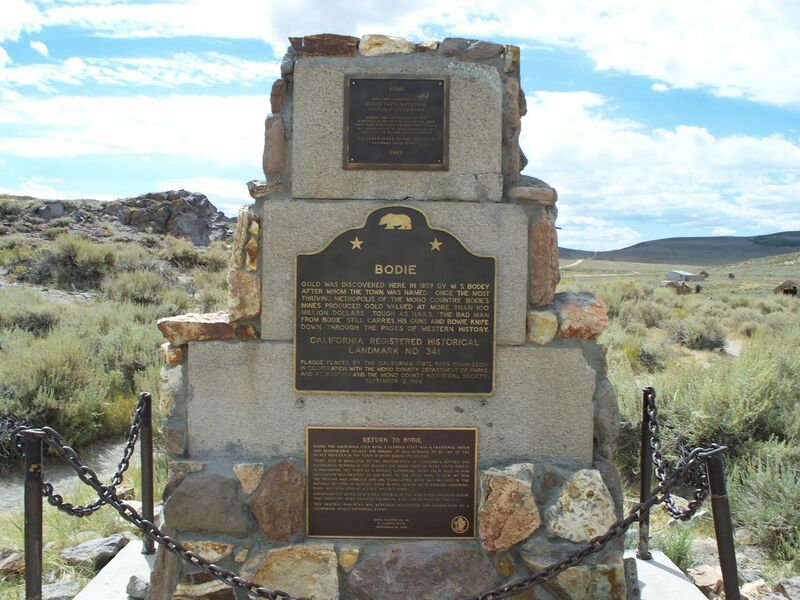 There are two Pony Express markers at the site but do not expect to see any ruins. The road is badly rutted and can be muddy in wet weather. It is hardly worth the effort going there, since there is not much of interest left to see. Williams Station is the next Nevada Pony Express station to be encountered when traveling east from Hooten Wells and Desert Station. Originally located along the Carson River, the ruins of the station have been inundated by the waters of Lahontan Reservoir since Lahontan Dam was created in 1911. There are reports that during the drought of 1992, the ruins became visible again due to the low water level. In the early days, it was sometimes referred to as Honey Lake Station. 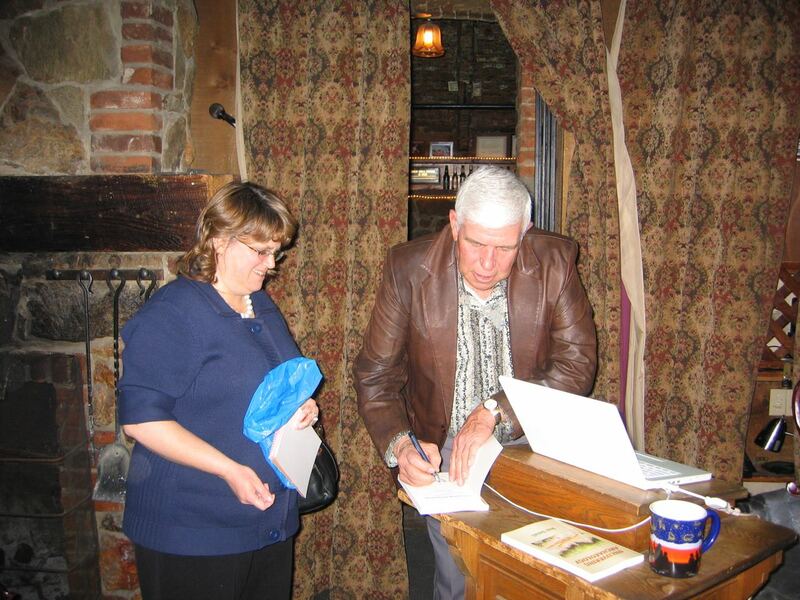 The Station keeper was James O. Sullivan and the station was owned by J.O. Williams. On May 7, 1860, a few Paiute Indians raided Williams Pony Express Station in retaliation for men from the station accused of kidnapping and assaulting two Paiute girls. Four or five men were killed in the raid when the station was burned with the men inside. When news of the massacre of the men at Williams Station reached the Comstock, a militia of 105 men was assembled with volunteers under the leadership of Major Ormsby. The quickly formed militia marched to Williams Station where they buried the remains of the mutilated dead men and continued their march to Pyramid Lake to take revenge for the massacre. On May 12, 1860, the mostly inexperienced militiamen met up with a much larger force of an estimated 500 Indians in the Truckee River gorge near Pyramid Lake. Quickly out maneuvered, the white volunteers were soon surrounded and seventy-six of them were killed while trying to escape. Most of the twenty-nine survivors who did manage to get away were wounded. Meanwhile, Captain Joseph Stewart from Fort Alcatraz in San Francisco headed toward the scene with U.S. Army Regular soldiers. Rather than wait for Stewart’s regulars, Captain Hayes marched his volunteers to the location of the initial Indian attack at Williams Station. Hayes encountered an estimated 150 Paiute warriors at the station where a brief skirmish ensued. Two soldiers and six Paiutes were killed and the surviving warriors retreated toward Pyramid Lake. They were pursued by the Hayes volunteers and Stewart’s regulars. This time the Indians were defeated in the Second Battle of Pyramid Lake. The burning of Williams Station and the massacre of those working there was the catalyst that started the Pyramid Lake Indian War. Williams Station was destroyed and the Pony Riders had to make use of other stations on their runs. This series of events was devastating to the Pony Express. For the next few weeks, seven other stations were razed, 16 employees were killed and 150 horses were stolen or driven off. The owners of the Pony Express operation suffered thousands of dollars in damages from loss of revenue due to mail deliveries being disrupted. Damaged and destroyed stations had to be replaced at a great cost to the owners. It was not until the establishment of Fort Churchill in the summer of 1861 that conditions along the route were considered to be safe. By that time, the construction of the trans-continental telegraph line was nearing completion. This was the final blow that spelled the end of an era when mail carried by pony riders was the fastest way to send news across the nation. Downtown Dayton is located along the Carson River where Gold Canyon empties into the river on the rare occasions when water actually flows down the canyon. This is the location where in 1849, gold nuggets were first found by prospectors who tried their luck at gold panning while resting along the California Trail on their way to the California gold fields. Later, many of these same miners returned to the area when they found the streets of California were not paved with gold. Just west of downtown Dayton, near the community water storage tank, lies the historic Dayton Cemetery. It is very near where Spafford Hall’s Station and trading post were once located. 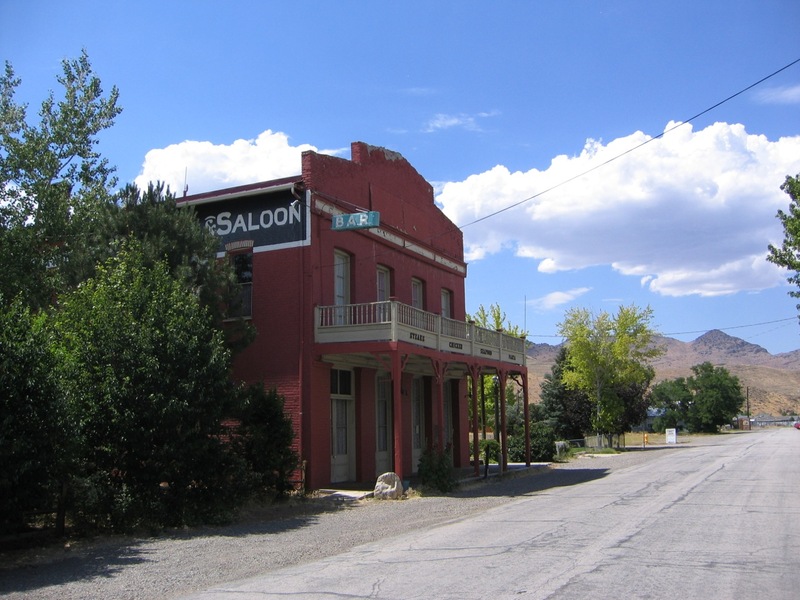 Hall’s Station was the first business establishment in the community which has arguably been called Nevada’s oldest settlement. At Dayton, the Old California Trail turned west from the Carson River and headed toward Carson City. The trail passed just north of the Dayton Cemetery which became the final resting place for several of the early emigrants who had died along the trail. The same trail was used by the Pony Express between April 1860 and November 1861. Between 1850 and 1859, Dayton became very active as several hundred prospectors including many Chinese panned for gold along Gold Canyon and up through Johntown and the Silver City area. During this time, whenever someone died along this route, they likely were buried in the Dayton Cemetery. The Chinese population was so prevalent for a time that the community of Dayton was known as Chinatown. Several prominent Nevada citizens have been buried in the Dayton Cemetery. Many of the earliest graves that had wooden grave markers can no longer be identified, since the markers have rotted away or were taken by vandals. There are several graves marked “Unknown” in the older western half of the cemetery. Maintenance personnel have told me that these graves were uncovered in recent times when seemingly unoccupied plots were dug into in order to make new burials. When bones were encountered, the graves were re-buried and marked “Unknown.” The policy is now to not attempt to bury people in the old section except in existing family plots. The newer section on the east half of the property is still being used for new burials. I have recently purchased one of these for my own family plot. Perhaps the most notorious person buried in the Dayton Cemetery is James Finney, also known as “Old Virginny.” The story of Finney is a matter of Comstock folklore. The story that Virginia City Nevada was named for him after he christened the ground where he had broken a bottle of whiskey “Virginia Town” has become an accepted fact. Finney, a native of Virginia, died in Dayton (Chinatown) at the age of 44 after being bucked off a mustang horse and landing on his head. Other Comstock miners revered him so much they voted at a community meeting to name Virginia City after him. What little is known about him indicates that he was a hard drinking but skillful miner who located the first quartz claims on the Comstock Lode at Gold Hill and at the Ophir Diggings in 1859. Virginia City and the entire Virginia Mountain Range carry his name. Citizens of Dayton buried him along the Carson River near where he had died. Later, several years after the new cemetery was established in 1851, his remains were re-interred in the present cemetery along with several other persons who had been interred in an area where commercial development was taking place. Other prominent Nevadans buried at the Dayton Cemetery include Judge Clark J. Guild and members of his family and Governor Charles H. Russell and members of his family. Many of the graves in the cemetery have Italian names due to the large number of Italian ranchers who settled along the Carson River and the many Italian brick masons who found work in the region during the Comstock boom. The views from the Dayton Cemetery are scenic. To the northwest, the peak of Virginia City’s Mount Davidson can be seen. Also visible along the road to the cemetery is the California Trail and Pony Express route ascending a steep slope toward a trail marker at the top of the hill. To the northeast the Flowery Range, the lower reaches of Gold Canyon and the quarry where Hall’s Station was located can be seen. Off in the distance, you can see the huge yellow band of material that was removed from the Sutro Tunnel when it was being constructed. Directly East is a panoramic view of the entire town of Dayton and beyond. Toward the southeast is the mountain peak marking the location of the ghost town of Como. The Carson River lined with Fremont Cottonwoods marks the corridor where over 25 farms and ranches operated by Italian farmers became known as the breadbasket of the Comstock. Few other places in the State of Nevada are surrounded by as much history as the Dayton Cemetery. The docents of the Nevada Historical Society at 1650 North Virginia Street in Reno have invited me to present a talk about one of Nevada’s most significant archaeological discoveries, Lovelock Cave. For two years I have been volunteering as a tour guide at the Nevada State Museum in Carson City where I take tour groups through the “Under One Sky” exhibit that shows how the ancient Indian tribes lived here in the Great Basin for the past 12,000 years. Most of what we know about the prehistoric Indians is from things recovered from places such as Lovelock Cave and Hidden Cave. Several times during my career with the Nevada Department of Transportation, I was stationed in the town of Lovelock, Nevada. Having not much else to do in my spare time, I explored much of the surrounding desert lands including Lovelock Cave, about 22 miles south of town. In 1911, a mining operation removed several hundred tons of bat guano from the cave to be sold in California as fertilizer. Within a year, they had to stop the mining operation due to the discovery of hundreds of Indian artifacts, including baskets, tule matting, clothing items and human mummies. Archaeologist Llewellyn Loud from the University of California was sent out to conduct excavations and recover the artifacts before they were all destroyed or taken by looters. He collected 10,000 specimens from the cave that were divided between the University of California and the Nevada Historical Society. It is known that many priceless artifacts and even some human mummies were taken from the cave by weekend curio hunters during the next several years. In an effort to stop the ransacking of the cave, Archaeologist Mark Harrington arrived at the cave in 1924 along with Mr. Loud and a crew of local Indian assistants and conducted a comprehensive excavation of the cave to recover the remaining artifacts and thoroughly document the material they collected. Loud and Harrington wrote a book titled “Lovelock Cave” that was published in 1929. I have a reprint copy of the book which contains many photographs and drawings of the artifacts and human remains they had recovered. One of the most amazing artifacts they found was a basket of eleven duck decoys buried in one of the many storage pits inside the dry cave where they were perfectly preserved. Unfortunately for us, many of the artifacts have been taken to museums outside the area. No one knows for sure how much stuff was looted from the cave before archaeologists completed their excavations. Early reports concerning the items found in the cave included stories of giant skeletons and mummies with red hair. Authors such as Sarah Winnemucca added to the myths by repeating some of the mythical stories. It does not seem possible that these giant skeletons and mummies with red hair were anything more than tall tales in view of the fact that not a single specimen of anything like this still survives today. I have written about Lovelock Cave in several of my books but I clearly show that the stories of redheaded Indians and giant skeletons are fictional stories unless someone can come forth with some actual specimens. In reading the archaeological information compiled by Loud and Harrington, I have never seen any reference to such items. Had they made such a discovery, it would have been written about just as the discovery of the amazing duck decoys were. Should any of my readers like to attend the presentation I will be making at the Nevada Historical Society, it will be on June 4th between 10:00 and 11:00 am. I will be signing books and showing pictures of the cave and the things found there. I believe the docents will have some of the actual artifacts out where we can see them. The next original Pony Express station east of Buckland’s Station was Hooten Wells and nearby Desert Station. When the Pony Express riders left Buckland’s, they rode south over the wooden toll bridge Buckland had constructed across the Carson River for about two miles before turning east toward the next station. About twelve miles east was Hooten Wells station and nearby was Desert Station which became the station for the Pony Express after Hooten Wells Station was abandoned. Since the structures were so close together, they can be considered one and the same station. Hooten Well is about 1.5 miles northeast of Desert Station. The site is on the Rafter D Ranch. Rock ruins of Hooten Wells / Desert Station including the strong house and parts of a round stone corral can still be seen at the site which had a good source of water. This was a popular stopping place for travelers, miners and teamsters in the 1860s. The station was not used by the Pony Express after August, 1861 when the route was moved to the Northern Route. After some of the previous articles I have written about the various Western Nevada Pony Express stations, I had requests to provide more information about the location of the stations. I must confess I have not personally visited all of them but I am familiar enough with the locations to provide general directions that visitors should be able to follow. Some of them are in very remote areas that require 4-wheel drive vehicles. When they are on private property, please respect property owners’ rights. Always respect the fragile nature of these historic sites and do not deface or remove any of the ruins or artifacts. In 1994, the Nevada State Park Service acquired 3,200 acres along the Carson River, east of Fort Churchill and Buckland’s Station. This corridor, which runs along the south side of the river, connects Fort Churchill with Lahontan State Recreation Area. It has become known as Carson River Ranches. The original Pony Express route went through this corridor and the route can be followed today by a dirt road to the ruins of Hooten Wells Station and Desert Station. After crossing the bridge south of Buckland’s, turn left on the dirt road that follows the route the Pony Express riders took in 1860. The entire corridor is now a part of Fort Churchill State Park and can be taken to the ruins of Hooten Wells Station and Desert Station. They are on private property 12 miles east of U.S. 95 Alternate. There is a primitive campground and habitat for diverse plants and wildlife. The route is popular with campers, hikers, birdwatchers, canoeists, hunters and equestrians. Beyond Fort Churchill and Buckland’s Station through the area now known as Churchill County, the history of the Pony Express Stations becomes a confusing mess. Captain James H. Simpson blazed a trail across central Nevada that roughly follows U.S. Highway 50 across Nevada and Utah in 1859 and 1860. This became known as the Simpson Route or the Central Nevada Route. This Central Route reduced the distance across Nevada compared to the Humboldt River Trail by 280 miles. As Simpson staked out the trail, the U.S. Army improved the trail and cleaned out the springs for stagecoaches and wagons. This immediately became the preferred route for stagecoach travel and overland mail service. In the spring of 1860, the Central Overland California and Pike’s Peak Express Company, parent company of the Pony Express, decided upon the Simpson Route for the Pony Express. They sent out wagon trains with building materials and supplies to construct the needed relay stations along the entire route between St. Joseph and Sacramento. Work crews located and built the stations along the route spaced at distances that would allow changing horses every 10-12 miles depending on the terrain with “home” stations every 75 to 100 miles apart so the riders could rest. There were an estimated 119 to 153 stations constructed along the route with stations being added or subtracted several times during the lifetime of the operation. According to the National Park Service, today most of the original trail is gone. Along many segments, the trail’s actual route and exact length are matters of conjecture. Modern off road travel, highway construction, and private working ranches have obliterated much of the route and some of the stations. We do know that the Pony Express ran through what is now Churchill County Nevada during its brief existence of just 18 months between April 1860 and October, 1861. The original stations constructed by C.O.C. & P.P. Express were used from April 3, 1860 until May 12, 1860 when the Pyramid Lake Indian battles started. These stations followed what has become known as the Southern Route through Churchill County. For the next few months, the pony runs were disrupted by sporadic Indian attacks. Some of the stations were burned or damaged and a safer route was selected further north until hostilities subsided. The original stations of the Southern Route included Buckland’s Station, Desert/Hooten Wells Station, possibly Williams Station, Carson Sink Station and Sand Springs Station. The trail for these stations went 2 miles south of Buckland’s across the bridge over the Carson River, then 12 miles east to Hooten Wells and on to the others. Ruins of some of these stations still exist and we will describe them in future articles. The important thing to remember about these stations is that they were not used during the full 18 months of the existence of the Pony Express. When a safer route was selected due to the Indian hostilities along the Southern Route, the newer Northern Route was established and used during the final seven to eight months of the Pony Express. The Butterfield Overland Mail Company took over this section of the route and the pony riders simply started using this safer route. Several stations were established but there are no ruins still in existence nor can the route of the trail be determined with any accuracy. It crossed the Carson Sink and became known as the Stillwater Dogleg. Historians are not in complete agreement about how many stations were used on this Northern Route or exactly where most of them were located. Record keeping during this time was sporadic and incomplete due to the Indian threat, the intense activity developing the Comstock mines and a rush to get the trans-continental telegraph lines completed. Fortunately, stagecoach routes and the Carson branch of the Old California trail passed through this area. It was a relatively simple matter to construct adobe or willow structures to serve as stations for the waning days of Pony Express service. At Millers/Reed’s Station, the route passed Susan’s Bluff, then turned north along a branch of the California Trail toward what is now U.S. Highway 50. The route then turned east toward Ragtown. The following is a list of the names of stations believed to have been used on the Northern route or the Stillwater Dogleg: Desert Wells Station, Ragtown Station, Nevada Station, Bisby’s Station, Old River Station, Stillwater Station, Mountain Well Station, and Fairview Station. By the time the Pony Express was entering its final few weeks of operation, the telegraph lines had been completed to some of the stations and often news from the eastern states reached Nevada and California before the pony riders arrived with their mochilas full of mail.